Toady. we stayed inside to avoid all the smoke from the neighbor’s fireworks since it aggravates half the family’s asthma. Usually we go park a long ways off from the city park and watch the display, but they did it Friday while we were busy so we missed it. 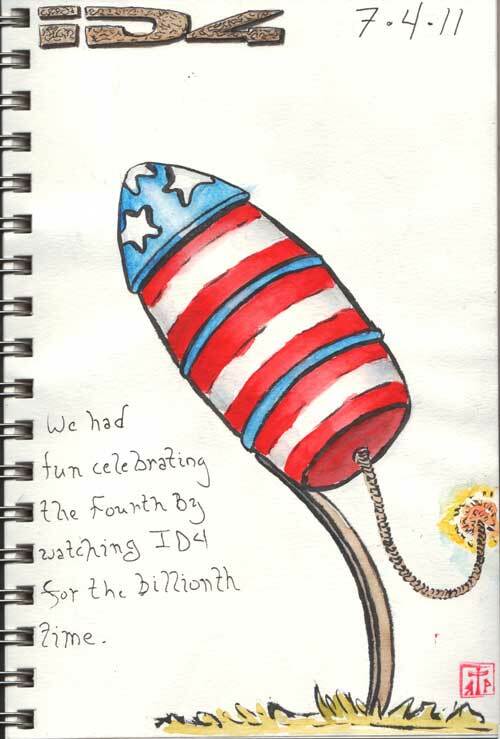 To celebrate the Fourth we broke out a DVD of ID4, our traditional movie for the holiday.